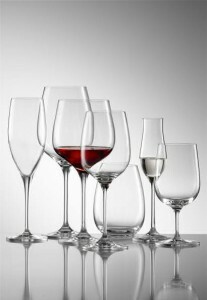 Thanks to everyone for taking part in in our Eisch wine glasses competition which is now closed (entry form). "I have been pregnant and nursing my young baby so unable to drink wine. I am now ready to sit down and savour the moment and what better way than out of beautiful glasses that will allow me to fully experience the taste and aromas." We weren't offering runner-up prizes but we enjoyed GrahamR's pithy: " 5 IS NOT ENOUGH ! " Some further examples of replies are listed below so you can see for yourself the strength of the competition. 1. the 'poverty trap' - I can't afford to buy these so I want to win them - which fell on deaf ears. 2. the 'simple' explanation - which basically just reiterated the properties of the glasses and were ignored for a lack of originality and for being just plain boring. 3. the 'good causes' and 'present-giving' efforts - we'd like to help but we're not a charity - go and buy what you need. 4. the 'careless' - do you really think we're going to send you more wine glasses to break? 5. the 'uninitiated' - we're hardly going to give you a set of Eisch wine glasses if you can't already demonstrate a certain discrimination in what you are drinking. us of what we have to come once we are qualified!" been so many other things to get, these would be amazing!" just not on! Please, help." the wine drinking experience complete." plastic and i would love some elegant ones for our new year party"
and would like to treat myself to some luxury!" "IT WOULD BE THE PERFECT CHRISTMAS PRESENT FOR MY WIFE!" "I am now down to 2 glasses." "I desperately need new wine glasses!" drink herself into a pit of despair in some fine glasses!" We could go on... thanks again to everyone who entered. Better luck next time.